Image credit & copyright: Manish Mamtani. Still haven’t been to the beautiful Acadia National Park? Well allow me, actually, Manish Mamtani to twist your arm a little harder with this incredible shot from Boulder Beach. In this image we see our home star city standing tall from light years beyond Maine’s rugged coastline. The color capture in the Milky Way compliments the color in the foreground rocks and evergreens perfectly in my opinion and the hues of the galaxy can also be seen in the relatively still waters as well. There’s something to be said for well-planned and executed night sky images and their relationship to the foreground in the image. Sometimes silhouettes are just what the image calls for and sometimes a lit foreground is what sets the image apart from others. 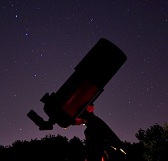 If you’re into imaging the night sky yourself mix it up. Try some silhouettes, try some light painting, try imaging the foreground with a little moonlight and when you’ve built up the skills to attempt a quality blend (foreground shot in daylight) by all means create that image. Also, if you go, see if you can find this location as it’s probably not on any maps. Boulder beach is this location’s unofficial name so finding it can add a little excitement and adventure to your trip. I hope you enjoy this image and as always, check out more of Manish’s work as it’s nothing short of inspiring. That goes for Acadia National Park and Far, uh, Bar Harbor as well. There’s a reason that the region was chosen for a national park, come experience it for yourself. 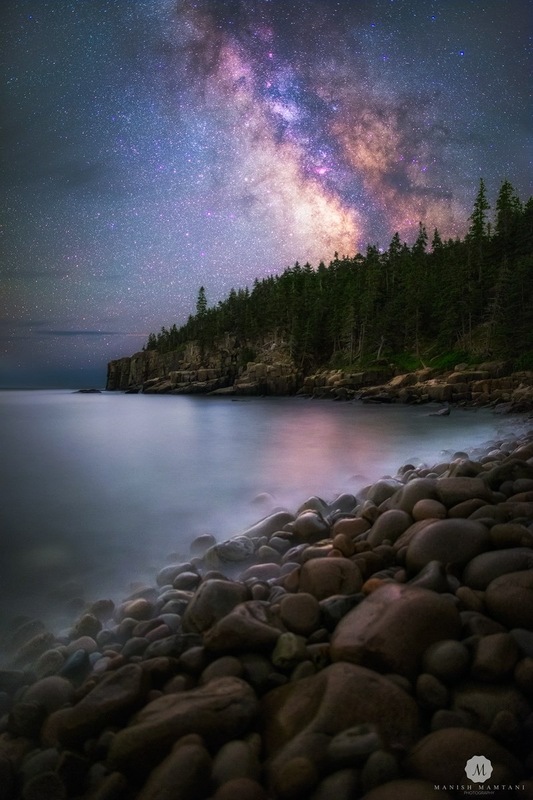 Image | This entry was posted in Astrophotography (Wide Field), Galaxies, Images and tagged Acadia, Acadia National Park, Bar Harbor, Boulder Beach, Far Harbor, Maine, Manish Mamtani, Me. Bookmark the permalink.